Rae Dawn Chong was born on February 28, 1961, in Edmonton, Alberta, to Maxine Sneed and renowned comedian and movie star, Tommy Chong. Born out of a mixed raced marriage, Chong’s father is half Chinese and Scottish, while her mother is an African Canadian. Despite coming from a diverse racial background, Chong claims that her paternal grandfather was ashamed of his Chinese roots and settled in Canada trying to escape from it. His refusal to embrace his heritage was tough on Chong and her siblings, who wanted to learn and know more about it. Chong’s father’s fame opened up a lot of doors from her at a very early age. As a child, she did the background sounds for some of her father’s comic records. When she was only in grade six, a talent scout from Disney discovered her and she subsequently started appearing on television shows. The first major role in a television movie was, “The Wiz Kid and the Mystery at Riverton” in 1974 which was extremely popular in its time. Chong’s transition to mainstream cinema was with the movie, “Quest for Fire” in 1981. She played the role of “Ika” and her work for the movie impressed both audiences and critics and in 1983, she earned the Genie Award for “Best Performance by an Actress in a Leading Role”. Another major role she accepted was for the movie, “The Color Purple” in 1985, made by Steven Spielberg in which she played Harpo’s girlfriend, Mary Agnes. The movie was a huge success, earning five nominations at the Academy Awards. Due to her ability to play a diverse range of characters, Chong was signed up for movies like, “Choose Me” in 1984, “Beat Street” in 1984 and “Commando” in 1985, in which she worked with Arnold Schwarzenegger. She was also a part of her father’s film, “Cheech & Chong’s The Corsican Brothers” in 1984. Some of her more prominent work was done in between late 1980s to 1990s. She accepted the role to play the gorgeous and secretive wife, Carola, in the film, “Tales from the Darkside: The Movie” in 1990. Alongside her career in movies, she has also appeared in numerous television shows such as “Wild Card” and “Mysterious Ways”. She was also considered being casted as Anne Lindsey in “Highlander: The Series”. Chong has been part of the music video, “Just Another Night” made by Mick Jagger and in 1991 she performed in the production of “Oh, Kay!” in the Richard Rodgers Theatre in New York. 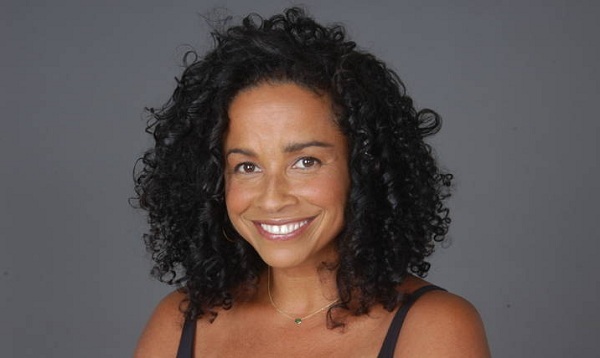 Some of her more recent works include the television movie, “Deadly Skies” in 2005 in which she starred with Antonio Sabàto, Jr. Rae Dawn Chong was assigned the lead role of a scientist who had to save the earth from destruction by colliding with a gigantic asteroid. In her personal life, she was married to Owen Bayliss who was a stockbroker and the couple had a son named Morgan. However, they got divorced in 1982. Following that, in 1989, Chong married fellow actor C. Thomas Howell, whom she had worked and starred with, in the movie, “Soul Man” back in 1986. Unfortunately, they too got divorced in 1990. Chong is a devoted mother and has reported said that her father really showed her the things not to do as a parent. Hence she has always put her son first and cherishes him with all her might.